From March 5 to 9, you can discover the InLoox products at this year's CeBIT - the leading high tech trade fair - in Hanover. We invite you to stop by! See at booth A02 in hall 4 our full range of project management software solutions in action. We'll present InLoox PM for Outlook, the leading Outlook-integrated project management software, the online project software InLoox PM Web App and InLoox now! - the turnkey project platform in the Cloud. You are very welcome to make an appointment with us at CeBIT and find out how the InLoox software solutions can simplify managing your everyday projects. If you are interested in an individual consultation please contact us at +49 (0)89 358 99 88 0 or e-mail us at cebit@inloox.com. 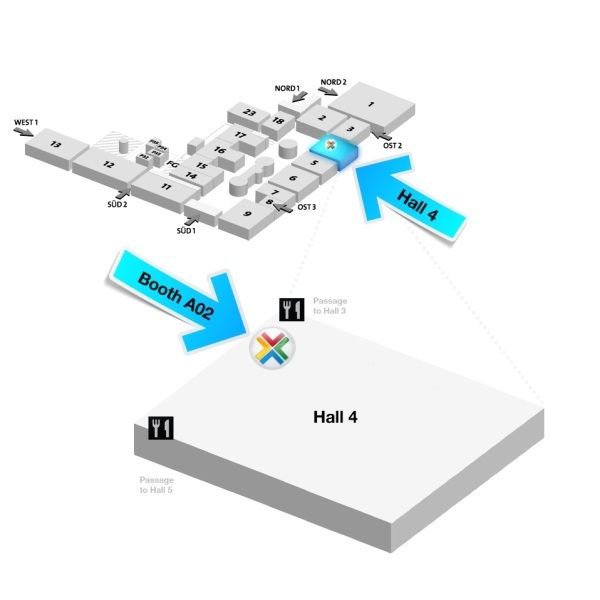 For more information on InLoox at CeBIT 2013, see our CeBIT page www.inloox.com/cebit. InLoox at CeBIT 2013 - InLoox • Copyright 1999-2019 © InLoox, Inc. All rights reserved.